As an environmental scientist, you are used to writing scientific articles, but how confident do you feel writing policy or regulatory documents? Do you feel you have the necessary writing skills to influence policy and inform the public? 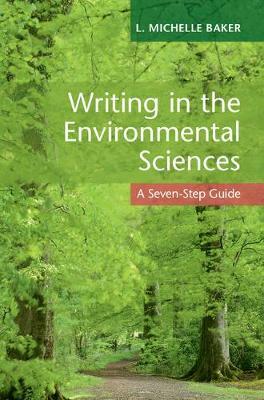 This refreshingly clear guide provides environmental scientists and conservation professionals with an effective writing process that can be applied in a range of financial, political, or organizational contexts. Baker outlines a replicable seven-step writing formula based on practical experience that acknowledges the complexities inherent in the worlds of endangered species, habitat conservation, and recovery planning. Using the formula, scientists will be able to communicate confidently and successfully with a multitude of audiences. Baker's guide is written for scientists, not professional writers. In it, best practices abound. Practical examples, strategies, and diagrams guide the reader at every step, and selected resources are provided for further reference.